After some time on oppo I was getting curious what this Live and Let DIECAST is all about so here it is: a new Member. 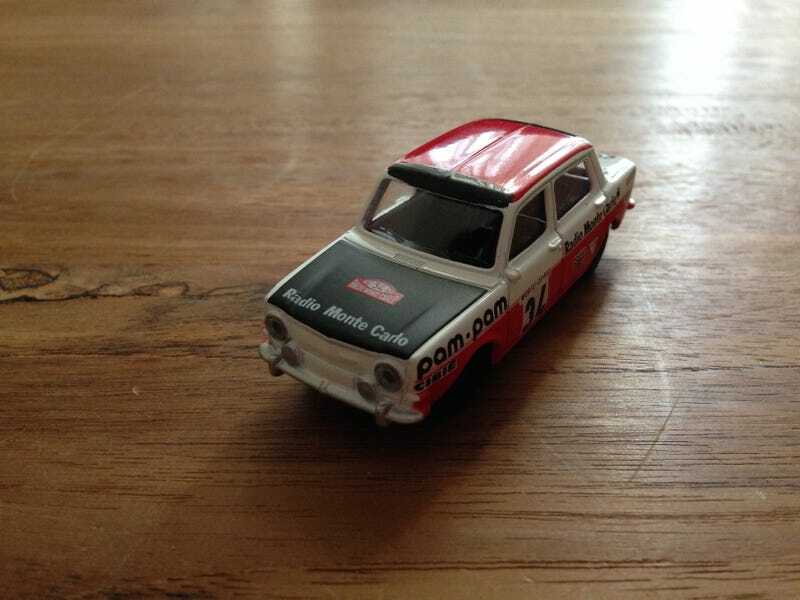 I'll try to add some Euro-style, both in cars as in diecast-brands (Hachette, Solido, Norev). Frosted's Summer Time Photography contest I'm not sure about to enter as summer seems to be forgotten already over here: It's like 16 degrees (that's about 60 F) outside! But I just got back from a trip to France and it was summer over there so that's a start. Nice thing about France is the models you'll find in the toystore. Norev has recently started it's Racing Retro line and consists of a few 60s/70s vehicles. I took some with me of course. This one was the first. That's right, a Simca 1000 Rallye I. Fond memories of that one as my great grandfather used to own a yellow one (non-Rallye). The Norev is 1:64 in size, it's not as cheap as a Hotwheels but then again: the quality is way better. For those of you who don't know this French beauty (I suppose it was a Euro-only car): the Rallye 1 was based on a French economical car, the Simca 1000, but spiced up a bit. Not sure if Carlo Abarth had something to do with it, Abarth made parts for Simcas in the 60's so there is probably a connection somewhere.